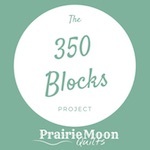 Six years ago, I was part of a fall blog hop along with a lot of other designers, and we each presented a block as part of the hop. 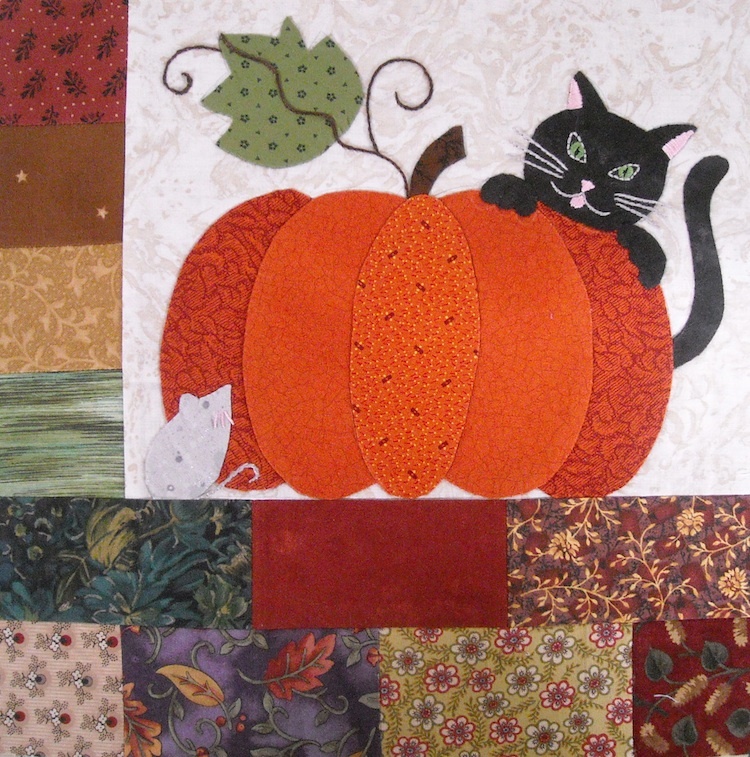 My block was an appliqué block with a pumpkin and a kitty and a mouse, and I really had a lot of fun designing and making it. I called it Hide ‘n’ Seek. You can still see the original post about the block and get the free pattern for it HERE. 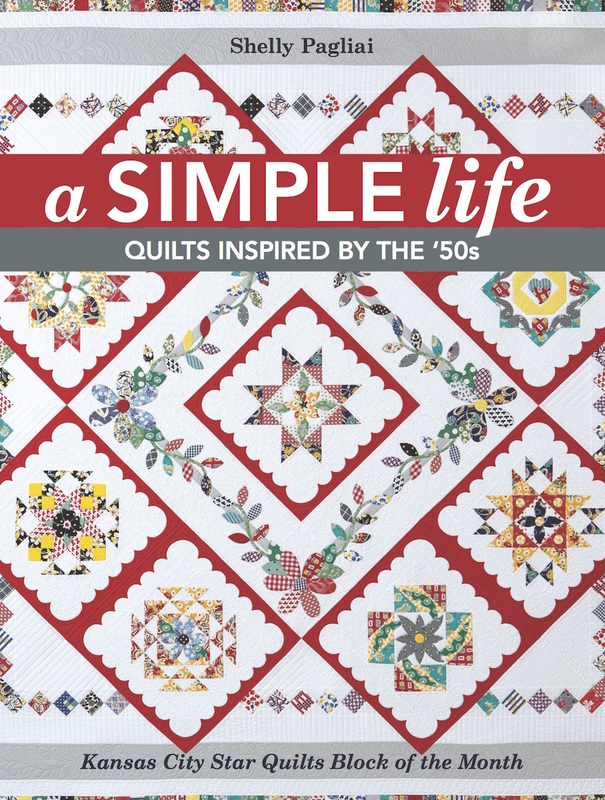 It makes a darling pillow or mini quilt. 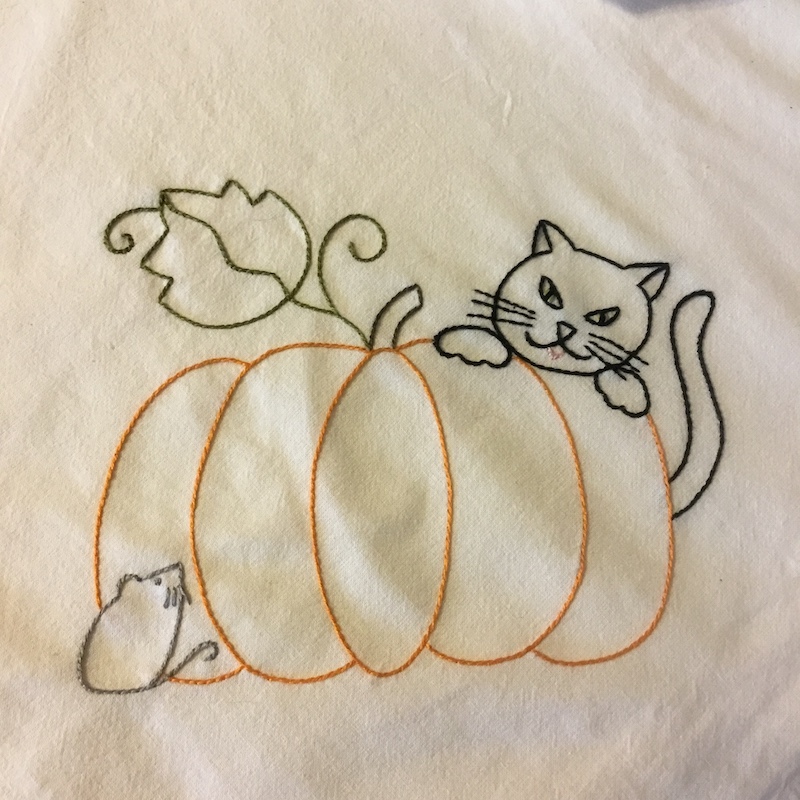 This year, I decided it would be super cute to use the appliqué pattern as an embroidery design, and put it on a tea towel! It turned out cute, too! To make a tea towel like this one, all you need is a blank flour sack tea towel (mine measures 32″ x 37″), some embroidery floss, and the pattern, which you can download HERE. 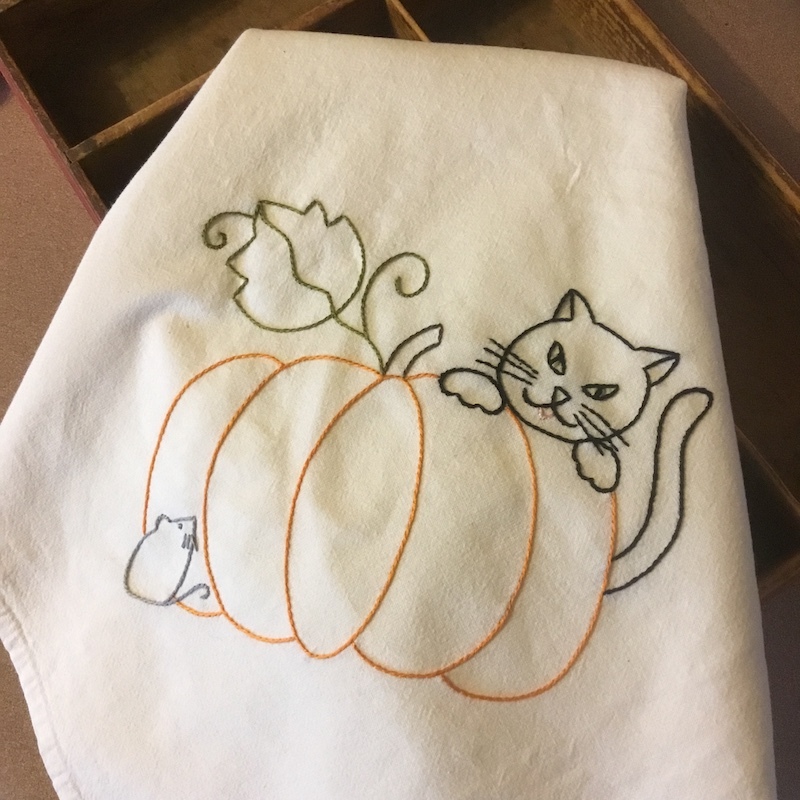 I reduced the pattern to 75% of its original size, then traced the outline onto my tea towel, and did very simple embroidery to complete it, using three strands of floss. Super quick and easy, if you need a hostess gift for fall, or just want one to decorate with at your own house! To make it even easier, I’ve listed a few tea towels, already marked with the design, in my Etsy Shop, so all you have to do is order a pre-marked tea towel, grab your choice of floss colors, and get to stitching as soon as it arrives! An even quicker gift or decoration! I love both of them. Thank you for sharing again. Not sure they will be done this year, but….. 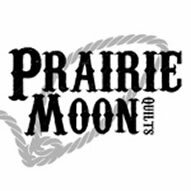 I can’t believe it has been 6 years since I made that. Applique of course, maybe I’ll look around to see if I have any tea towels to embroidery.